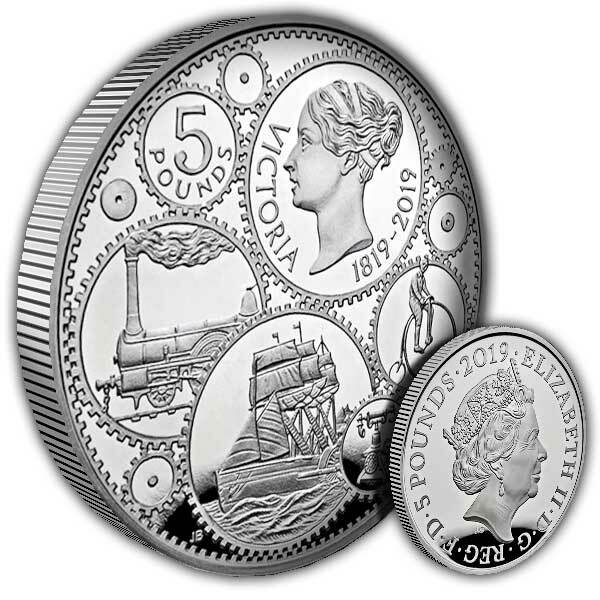 Double the weight of the £5 silver Proof coin, this piedfort edition brings an inherent sense of occasion to this celebration of one of the United Kingdom's best-known monarchs: Queen Victoria. 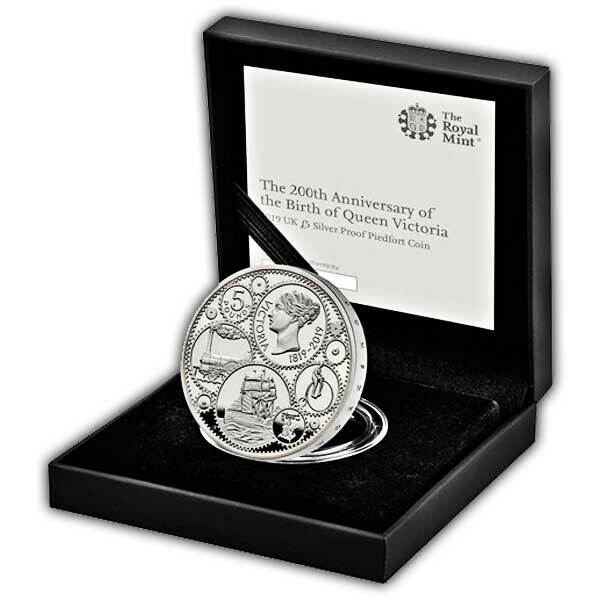 In 2019, the world observes 200 years since Queen Victoria's birth and The Royal Mint is celebrating with the release of two coin designs, including this £5 coin. Bearing the edge inscription ‘WORKSHOP OF THE WORLD’, the coin feels alive with the hum of industrial activity thanks to its engaging cog motif.